The offshore drilling for oil was in the final stages and there could be a major find, he said. Islamabad: Pakistan is on the verge of hitting a jackpot in the form of discovering a huge reserve of oil and gas in the Arabian Sea, Prime Minister Imran Khan has said, hoping that the discovery will solve the economic problems of the cash-strapped country. “I implore that we all pray that Pakistan gets this natural resource in substantial quantity. Our hopes and expectations from the offshore drilling being carried out by the ExxonMobil-led consortium prove to be true,” he said on Thursday. The offshore drilling for oil was in final stages and there could be a major find, he said. “There’s already been a delay of about three weeks, but if the indications we are getting from the companies are anything to go by, there’s a strong possibility that we may discover a very big reserve in our waters. And if that happens, Pakistan will altogether be in a different league,” he said. In an informal chat with a group of newspaper editors and other senior journalists, Khan did not share details of the offshore drilling process. And there has been no official word from ExxonMobil and the international oil exploration company ENI which have been involved since January in drilling an ultra-deep well (230km inside the sea) for oil in what is known as Kekra-1 area. Italy’s ENI and US oil major Exxon Mobil are jointly drilling for gas offshore in Pakistan’s Arabian Sea. Many other Western companies have left more than a decade ago because of Islamist militant violence. ExxonMobil returned to Pakistan after nearly a decade after surveys were carried out last year suggesting the possibility of big oil reserves within the Pakistani waters. The Prime Minister believes that if big oil reserves are discovered, most of Pakistan’s economic problems will be addressed and then there will be no stopping the country’s progress. 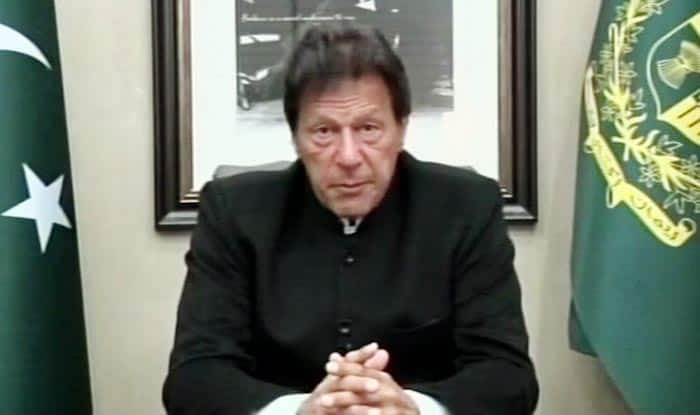 Talking about various challenges his government was confronted with, Khan said that bringing about economic stability remained his biggest challenge. He said when he took charge, the foreign reserves were extremely low and the International Monetary Fund (IMF) was putting extremely tough conditions, like “asking us to allow free floating of the rupee”. Khan said that with the help of friendly countries like the UAE, China and particularly Saudi Arabia, the government managed to improve the situation. Now, he said, even the IMF had relaxed its terms and things were moving in the right direction. Pakistan has received USD 1 billion each from Saudi Arabia and the UAE, as part of the bailout packages by the two Gulf nations to help shore up Islamabad’s dwindling foreign currency reserves. Earlier, Pakistan officials said that Islamabad would seek around USD 8 billion from the IMF which would be the biggest package by the Fund for Islamabad.